Get SEO, SMO, PPC, Web Development Tips: Do You Use Lesser Important Keywords To Generate Traffic & Potential Leads? Do You Use Lesser Important Keywords To Generate Traffic & Potential Leads? SEO starts with intensive efforts for strategic keywords research and picking up 10-20 keywords out of top ranking keywords that look more promising in the line of the business trait. More than 80% SEOs and online marketers follow the same exercise and they are doing the same for over the years. It means, the majority of SEO Experts fights for the better ranking of almost similar keywords. Doesn’t it make the fight intense and more competitive with uncertainty about the expected success? To perform outclass with competitive excellence, you need a differently smart strategy focused on less important keywords to harnessing the traffic and high potential leads. Focus on long tail keywords related to products / services niche. As per study by Statista, 50% SEO efforts should be dedicated to long tail phrases. For example – Top SEO company, low cost SEO services etc. Broad matching of keywords targets a wide range of relevant keywords. Include the words in target search terms that are more used by the mobile users. Are You Using RO Water Purifiers in Right Way? The concern for the quality drinking water is growing because of the several published reports about the contaminated supplied water. 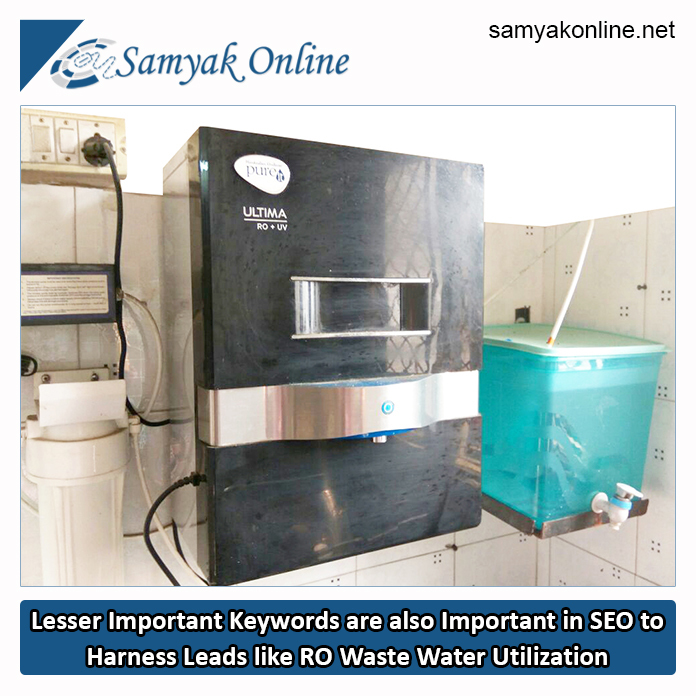 Using RO water machine of is the most viable and affordable solution. RO water users are increasing fast but most of RO water users neglect the 3/4 quantity of water going as waste. Yes, RO filter water quantity that we use is just the 1/4th of total water; rest goes to drainage. The habit to use waste water for irrigating and washing like needs saves electricity bills also. Should not we use this waste water to be the proud contributor to ‘National Water Mission’? By doing this we can help conserve water not for us but for the generation to come. 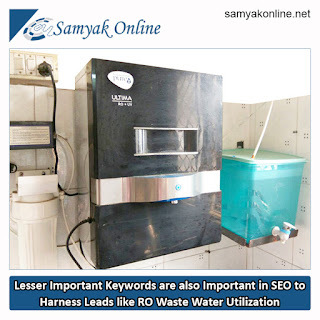 The sum and substance is using the resources lesser keyword in SEO and waste water in RO can save you on both fronts. So, Act Smartly, Save Smartly. Thank you for such a insightful article. I normally use scrapebox to get long tail keywords, and most of my visitor also come from long tail searches. For beginner in SEO like me, long tail keyword is the simplest way to build visitors. Yes Long Tail keywords and Lesser Importants Keywords gave More Traffic and also Generate Leads.